-l - Save the TDSSKiller to log to the specified file name. 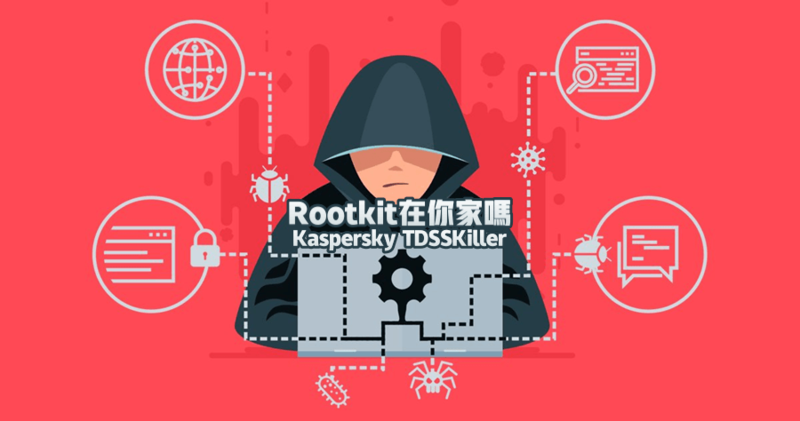 If you do not specify a full pathname, TDSSKiller will save the log in the same folder that the executable resides in. -qpath - Specify the path to a folder that TDSSKiller should use as the Quarantine folder. 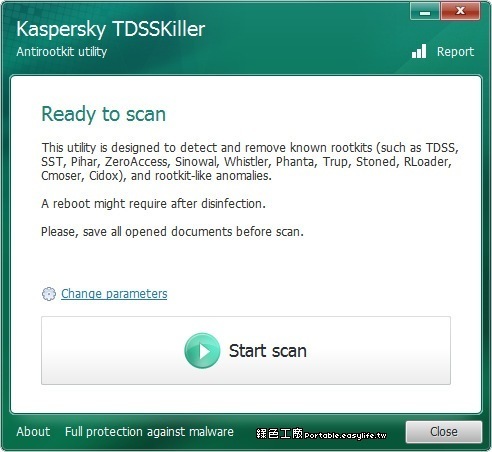 If this folder does not exist, TDSSKiller will create it. -h - Display a list of the command line arguments. -sigcheck - Detects all drivers that do not contain a digital signature as suspicious. 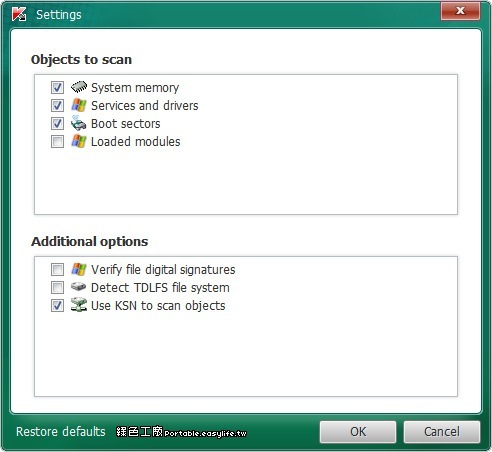 -tdlfs - Detect the presence of TDLFS file system which the TDL 3/4 rootkits create in the last sectors of hard disk drives for storing its files. All these files can be quarantined. -qall - Copy all objects to quarantine folder (Very Aggressive). -qboot - Quarantine all boot sectors. -qmbr - Make a copy of all the Master Boot Records and store them in the quarantine folder. -qcsvc - Copy the specified service to the quarantine folder. -dcsvc - Delete the specified service. Only use if your sure the service should be removed. -silent - Scan the computer in silent mode. This will not display any windows and allows the program to be used in a centralized way over the network. -dcexact - Automatically detect and cure any known threats.